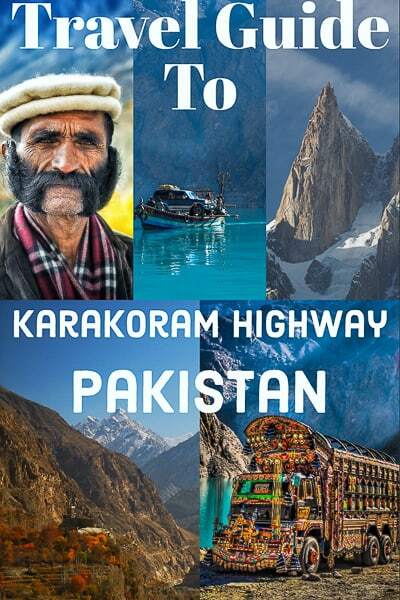 The Karakoram Highway often just called KKH, is a highway that runs about 1.300km (800 miles) from Abbottabad in Pakistan to Kashgar in the province of Xinjiang in west China. 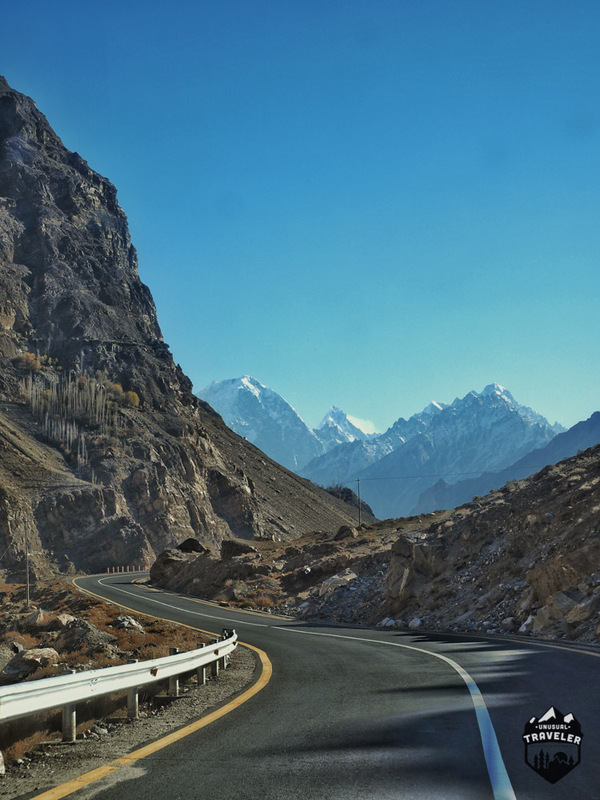 The Karakoram Highway was one of the greatest engineering achievement of the 20th century. Today its the worlds highest international border at 4800m (16.00feet) at Khunjerab Pass. While the Karakoram Highway officially starts from Abbottabad, a city that is famous for anything but the KKH in recent years. You will most likely start your journey from Rawalpindi. Rawalpindi is located 14km south of the capital of Islamabad, the capital of Pakistan. Important: all long distances buses from the capital to around the country leaves from Rawalpindi, not Islamabad itself. The bus station in Rawalpindi is huge, chaotic and dodgy; I got pulled aside by the security guards and hidden away at the back room, for my own safety they claimed, that was fine for me since I had more than 4 hours to wait for the bus north after I arrived from Lahore. I got offered unlimited tea and food from the security guards while I was waiting for my bus north. There are at least 2 “VIP” buses and a minibus leaving north a day, they all start from Rawalpindi around 16.00 and arrives in Gilgit around 18.00 the next day. I made the mistake of taking the minibus, while it was comfy enough, the “VIP” buses were much faster and offered a lot more legroom. It will be dark outside before you are out the city, so you are not going to see anything before the next morning. The first part of the journey is in proper tarmac, so it’s no problem to get some hours sleep. We stopped at least three times for toilet breaks during the night and once for food. Somewhere along the beginning of the Karakoram Highway. The place we stopped for breakfast, not a bad morning view. Unfortunately, it is pretty hard to take good photos through the window of the minibus, the roads are bumpy, and the windows are dirty. So instead of wasting battery is it better just to enjoy the view. Somewhere along the Karakoram Highway. There are a few military checkpoints on the way where you need to go out and register and provide them with a copy of your passport and visa; it’s really no hassle. The armed guard will accompany you to just before Gilgit. Gilgit is by far the biggest town in Northern Pakistan, and you are guaranteed to stop by here for at least one night. Gilgit is the transportation hub on the Karakoram Highway. It’s from Gilgit you will have to arrange transportation to head east towards Skardu, West to Chitral or North towards China. Gilgit is also the ONLY place in Northern Pakistan with ATMs that work with western bankcards. But they were out of money while I was there. Gilgit Town is not much to brag about. You will most likely arrive in Gilgit just after dark (I did), so it’s a good idea to have an idea of where you want to stay when you arrive. The bus station is located on the southern edge of the town, and its a 10-minute taxi ride to the center of town where most guesthouses are. I stayed in Medina Guest House, popular with travellers, a small double room with Squat toilet and a cold shower was 300PKR, less than 3 USD. There is no reason to spend much time in Gilgit; it’s better to move on to Skardu or Hunza Valley. There is a jeep/minibus station where you can get transport to Hunza Valley, less than 10miniutes walk from Medina Guesthouse. Great View all the time. The road from Gilgit to Hunza Valley is nice and smooth with great mountain view all the time, the jeep will most likely drop you off in Aliabad, it’s the main town in Hunza Valley, but this is not where you want to stay, you want to catch another jeep going to Karimabad. It’s another 15-20min drive, its too far to walk. 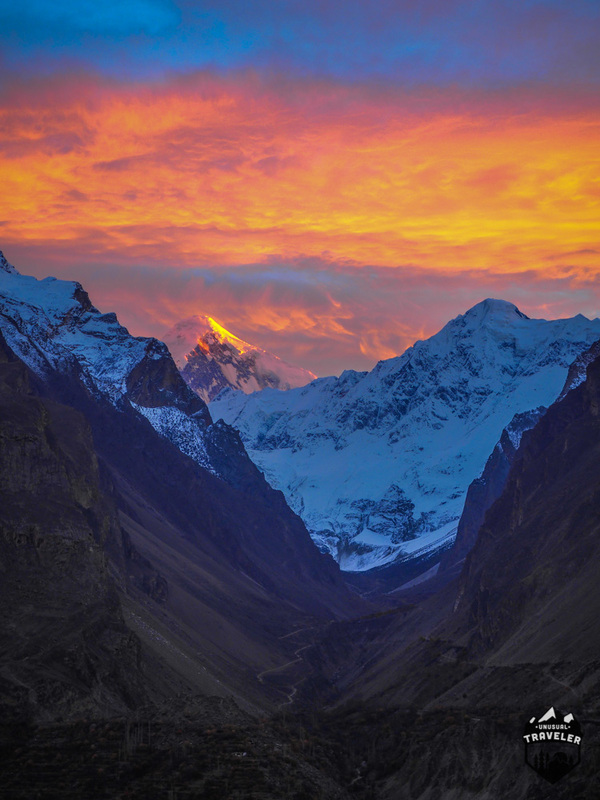 Click here to read the great guide from unchartedbackpacker for a complete guide from Hunza Valley. 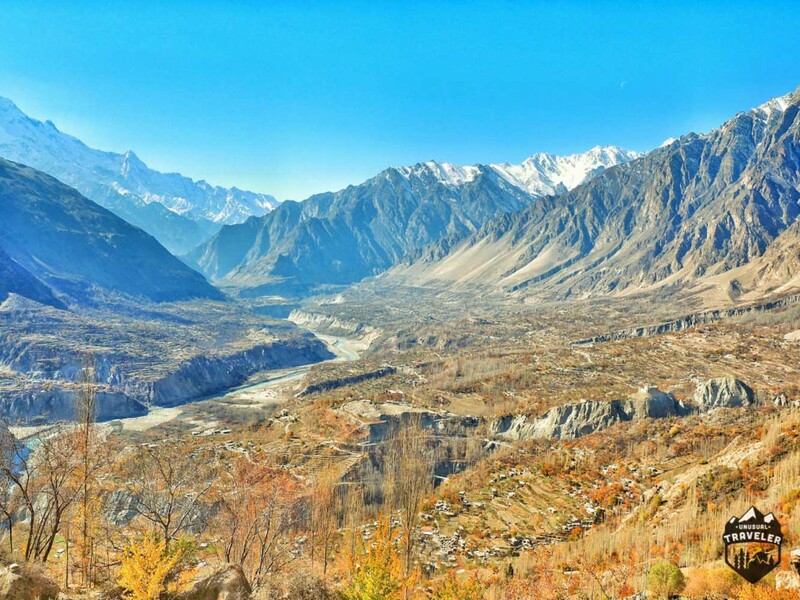 Karimabad is overlooking Aliabad and the whole valley, Karimabad offers one of the best views in the world, and you can well understand why Hunza Valley is named the last Shangrila. I could easily retire and live here. Karimabad is just amazing; it offers a 360-degree view of mountains, 2 Unesco Heritage site, extremely friendly and welcoming people and the best walnut cake anywhere in the world! And even decent moonshine. Baltit Fort is overlooking Hunza Valley. 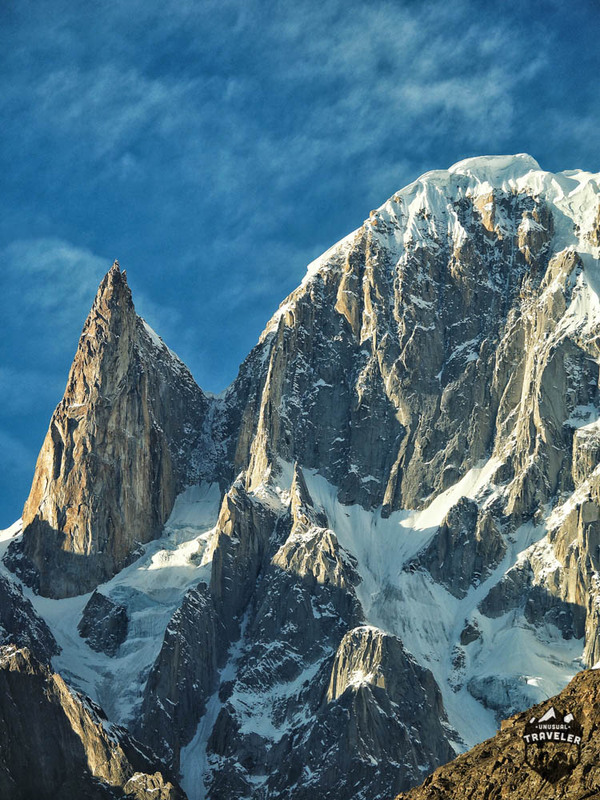 Probably the most famous peak surrounding Hunza Valley, Lady Finger Peak 6000m. 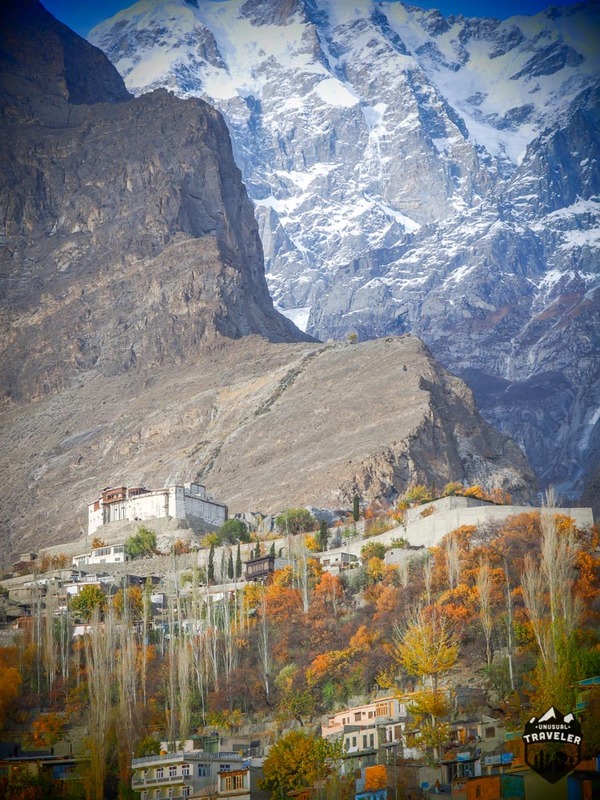 One of the best things to do in Hunza is to climb some of the hills surrounding the valley, meet the locals, and hike up to the Eagle Nest restaurant and hotel. The Eagle Nest is located on one a high hill overlooking the valley, the locals claim they can walk up there in less than 1 hour, it took me almost 3 hours, its steep, very steep, but it offers a million dollar view. Its the perfect place to watch the sunset while you’re enjoying a good dinner. The view from The eagle nest hostel. Sunset is seen from The Eagle Nest Hostel. When you’re ready to leave “Shangrila” and continue your journey along the Karakoram Highway, the next stop is Attabad Lake, just about 1 hour north of Karimabad. 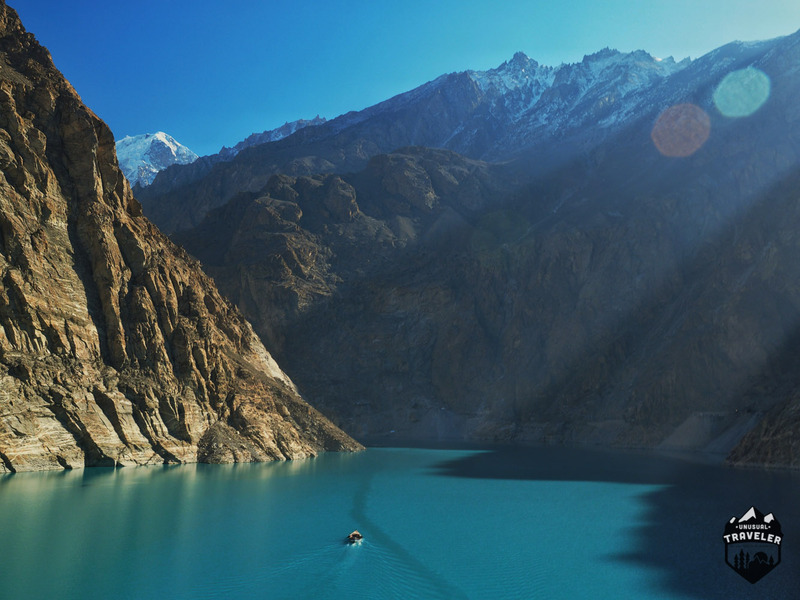 Attabad Lake got formed just back in 2010 when a massive landslide buried a stretch of 19Km of the Karakoram Highway, about 6000 people got displaced. Today the lake is about 21km long and more than 100meters deep, and the only way to cross it is with small boats that shuttle across the lake. 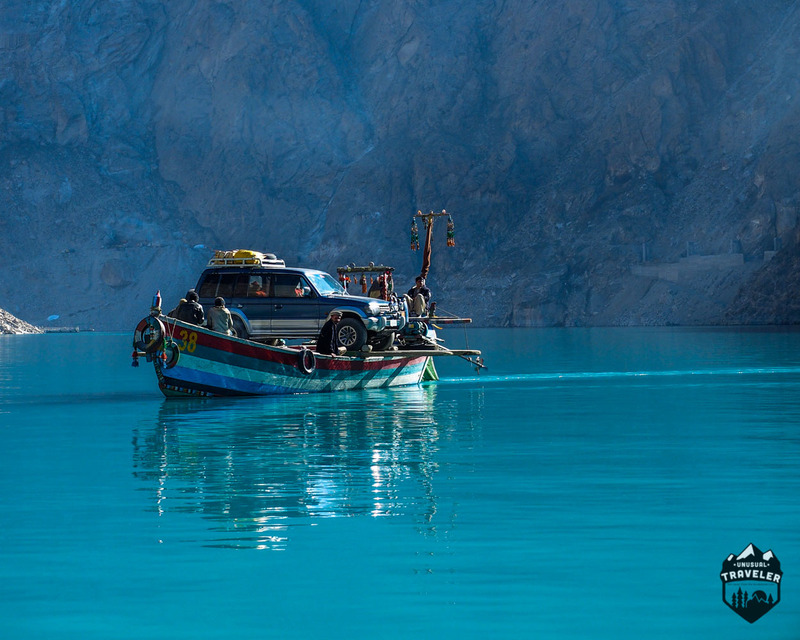 Attabad Lake, the only way to get across is with small boats. 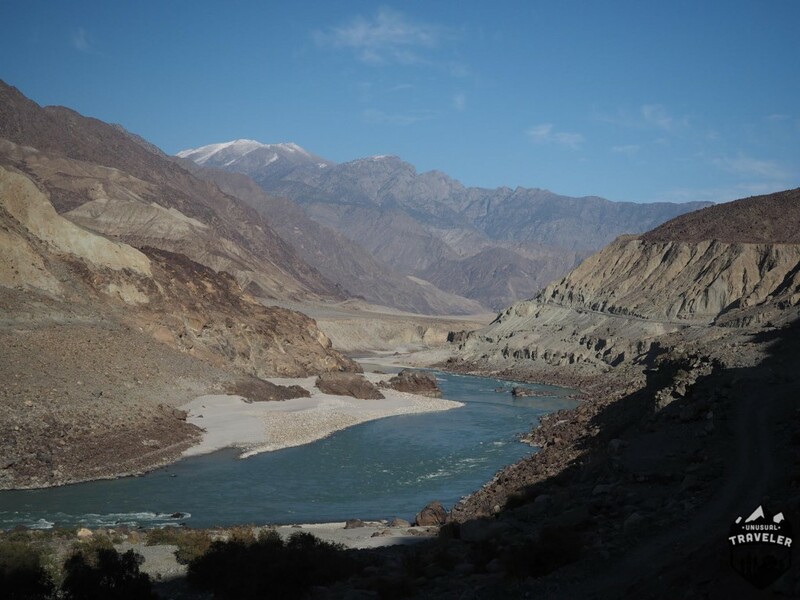 The ride across the lake takes about 40 minutes, and its absolutely freezing cold, but the Chinese are blasting their way through the mountain these days, so you will not need to take the boat in the future while you travel along the Karakoram Highway. There are plenty of jeeps and minivans waiting on the other side of the lake, some go all the way to Sost, but next obvious stop on the Karakoram Highway is the tiny village of Passu. 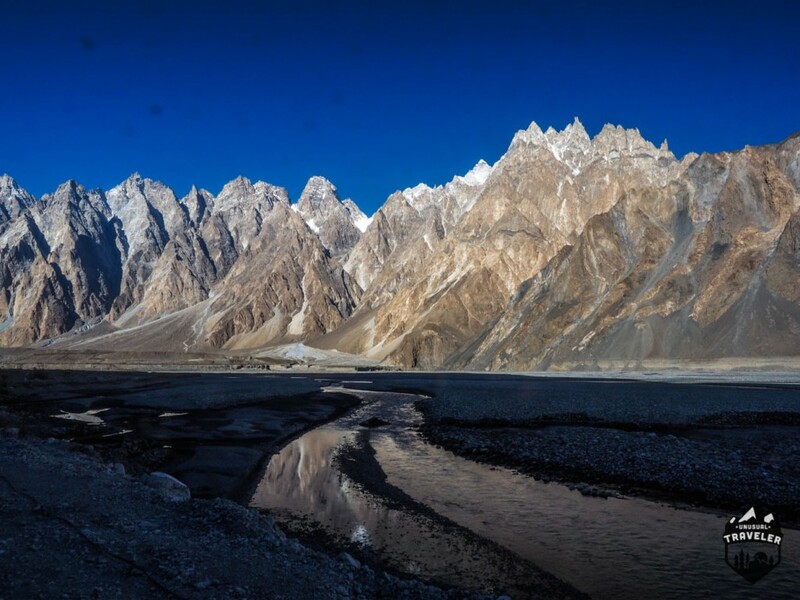 Passu offers world-class hiking around The Cathedral Ridge, but I was unfortunately there too late in the season, so all guides had ventured south for seasonal work in southern Pakistan. The Cathedral Ridge as seen from Passu. Passu has a few guesthouses, and the locals are very welcoming, I got invited for Chai (Tea) everywhere I walked in the village. 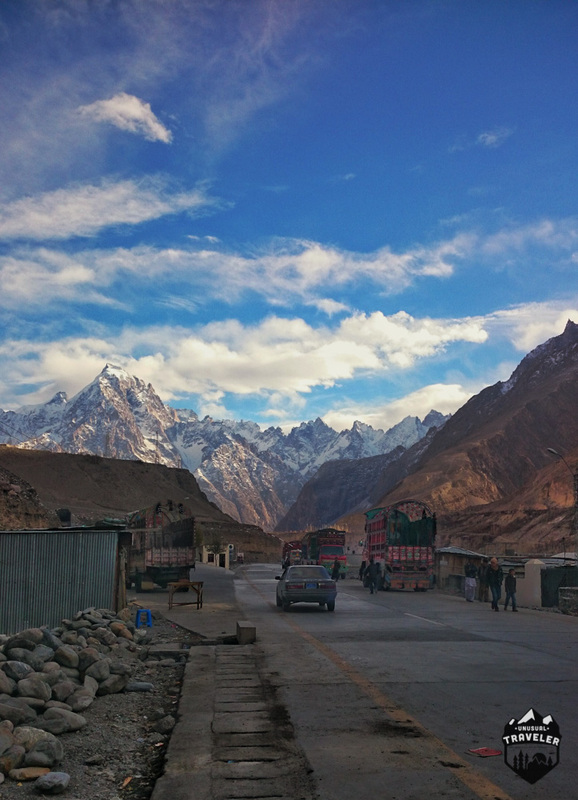 Then next and last stop on the Karakoram Highway in Pakistan is the sleepy town, Sost. Sost is a typical border town, with traders from both China and Pakistan, typical Chinese merchandises and even Tsingtao, Chinese beer is easily available. The sleepy border town, Sost. If you got some extra time on your visa and wanted to spend some extra days in Pakistan, you can do an easy side trip to Chapursan valley. 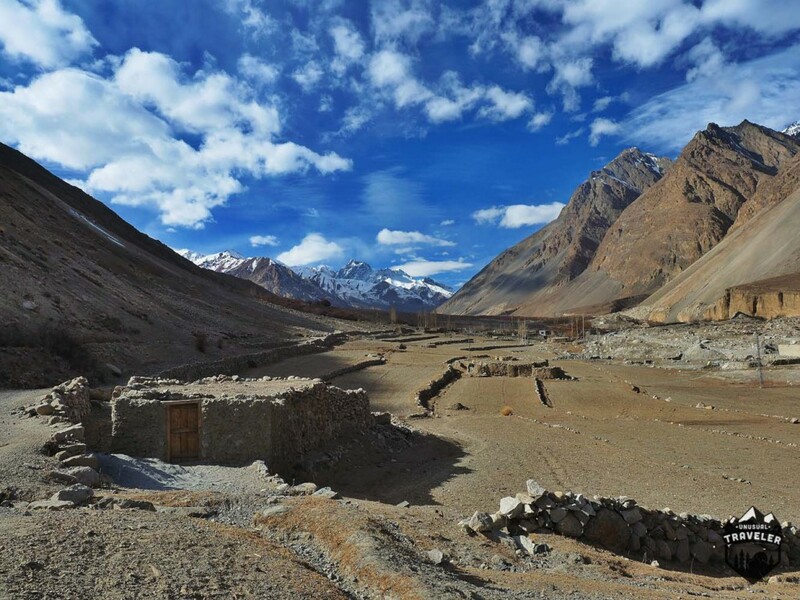 Chapursan valley is located less than 10 km from the Afghanistan border; it offers volunteer work and a homestay. 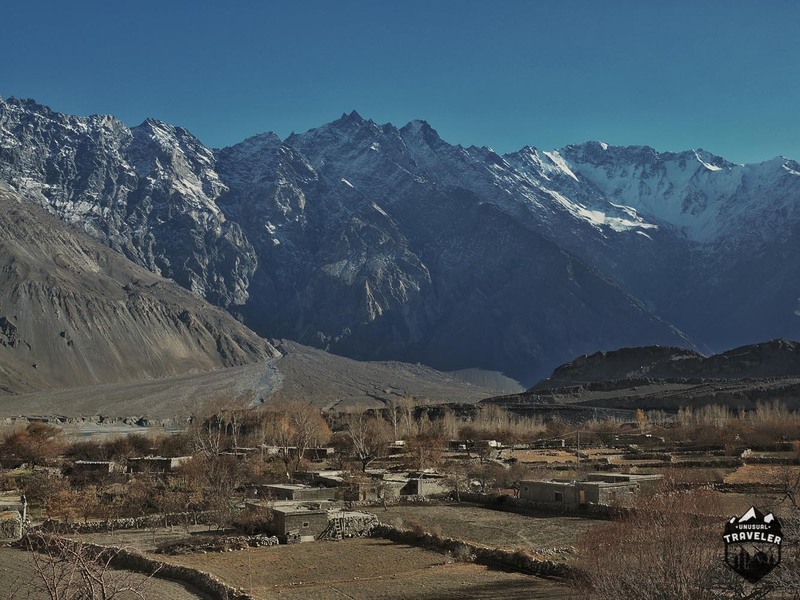 The last village in the valley is Zood Khun; you can find a homestay run by the redoubtable Alam Jan Dario, horseman, musician and ambassador of Wakhi Tajik culture. As Alam Jan Dario runs cultural and adventurous treks on foot or horseback into the valleys and over the passes of his spectacular homeland. Chapursan valley is mentioned in the book “Stones into School.” The book is the sequel to the award-winning book Three Cups of Tea by Greg Mortenson’s humanitarian efforts to build schools in Pakistan and Afghanistan. You will actually stay in one of the houses and with the family of one of the main characters in the book. Zood Khan in Chapursan valley. There is one daily bus from Sost to Tashkurgan in China; you will do all your custom and paperwork with Pakistani immigration already in Sost, it takes a few hours. Have your yellow vaccination book ready; they will check that you got Polio vaccination. The road from Sost to the border goes through Khunjerab National Park, and you still have to pay the entrance ticket of 10 USD, even if you are just passing through on your way to China. The border crossing between Pakistan and China is on Khunjerab Pass at 4800m (16.00feet), officially the world’s highest border crossing. Immigration and customs on the Pakistani side are straight forward and easy but very slow. The Chinese side extremely strict, I have crossed into China overland before from, Kyrgyzstan, Kazakhstan, Russia, Mongolia, Laos, Vietnam, Hong Kong and North Korea. And the Pakistan – China border crossing is nothing like those, you will have to empty all your luggage twice with sniffer dogs around, X-Ray your luggage, and then customs will go through your camera and check EVERY SINGLE photo on booth your camera and phone, they will also go through your Tablet/laptop and they will do this on everyone on the bus. It takes time, a lot of time. My bus was on the border for about 6 hours. Since I was the only tourist on the bus, was I the first person they checked and let trough. They will NOT stamp your passport on the Pakistani – China border. When everyone is done with immigration, and everyone is back on the bus, 2 Chinese military guards will accompany the bus till it reaches the immigration point in Tashkurgan. The bus will do no stop, no toilet break!!! Between Khunjerab Pass and Tashkurgan. That happens about 4 hours later when you reach Tashkurgan; then you will have to clear customs and immigration again. You will start the day at Sost about 9 am, and you will be done with Chinese immigration around 1 am the next day. There is actually an International Youth hostel in Tashkurgan, but its far from the Immigration House, so its better for you to follow most of the Pakistanis on the bus to a hotel that is called “Pakistani House” its less than 10 minutes walk from the Immigration House and offers single room or single room with WIFI, the best hot shower you had since Islamabad for 30RMB.. I will continue this post from the Chinese side on its own post. 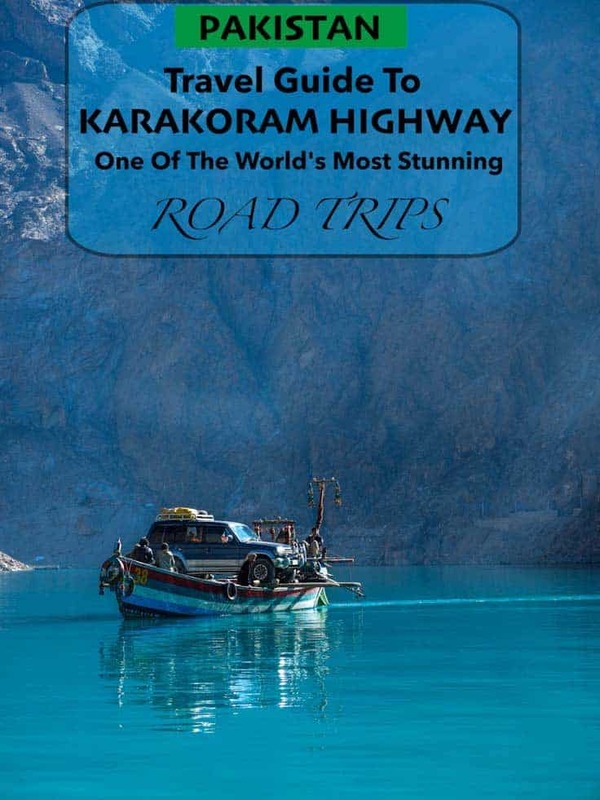 Additional info about Karakoram Highway. The border closes down 1 December to around 1 May every year. And more or less everything from shops, guesthouses, and transportation shut down around the same time, somethings earlier, something a bit later. I did this trip from 10th to 30th of November. Most of the guesthouses started to close down around 15th November. I meet a few tourists that were travelling southbound up to 27 November, but I didn’t meet a single another tourist that was travelling North towards China after 20th November. Northern Pakistan is extremely safe, it is even safer than most of Europe these days. The locals are very welcoming and open-minded, I got invited for food, tea and even the local moonshine everywhere I walked. The only ATMs are in northern Pakistan is in Gilgit, but they are often empty. So you are better off bringing enough cash for southern Pakistan. You can find money exchange in both Karimabad and Sost. Try to exchange your Pakistani Rupee into Chinese RMB in Sost, most shops can exchange your money. The bus from Rawalpindi to Gilgit was 1400 Rupees with student discount. Most guesthouses are 300 – 500 Rupee for your own room with bathroom. Northern Pakistan offers unlimited world-class hiking and mountaineering, the best place to find a guide is in Karimabad or Passu. Paragliding is offered in Karimabad. It is possible to teach English in some of the villages in the north, in fact, a few of the families invited me in for a cup of tea and dinner wanted me to practice English with their kids, both with their daughters and sons. A great read! I love Pakistan, especially the journey along the KKH. I haven’t been back for over 20 years but did enjoy my time in the region. 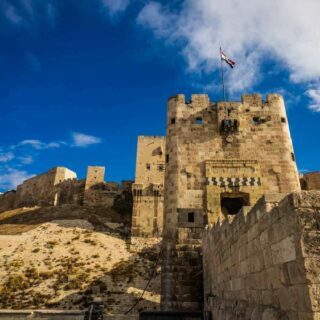 It is always high up on our list of places to visit but finding any up to date information on whether it is safe or not is difficult so your post and its content is very helpful. It seems like the Pakistanis are as gracious and welcoming as ever. I crossed the other way from you and got caught in some very severe flooding. Long story short, I mostly walked from Sost to Gilgit, taking irregular transport when the opportunity arose. It was a great journey and I look back on it with nostalgia. Pakistan is a highly underrated country!! Looks unbelievable. I’ve really been looking into doing a trip through Pakistan. My worry is that I am a solo female traveller, although I usually do not let this be a limitation, I must admit Pakistan does intimidate me. Do you have any input on a solo female traveller doing this road trip? sorry to trouble you. I am an older female solo traveler wanting to come to Pakistan this summer. How can I contact you directly for some advice? I travelled for 7 months in Pakistan in 2004. It was safe if you were culturally aware and cautious as you are in any foreign country. I travelled the KKH and stayed with Alam Jan. This blog has revived many memories. Carol, Kiwi. 1) From what I gather, you start at Karimabad & you need to cross the Attabad Lake before you can continue your journey to Sost? 2) So, crossing Attabad Lake by boat is the only option & there is no road transport that join Karimabad to Sost? 3) You left Sost at 9am & reach Tashkorgan at 1am the next day, so it’s no way that I can cross from Tashkorgan to Karimabad in a day with all the extensive immigration checkings, correct? 4) If (3) is true, where do you recommend for me to break the journey? Passu or Sost? 5) You also mentioned polio vaccination, is that compulsory before one can enter Pakistan? Sorry to trouble you with all the questions. There are so little information about this route & would really appreciate your clarifications. Hi Wendy. 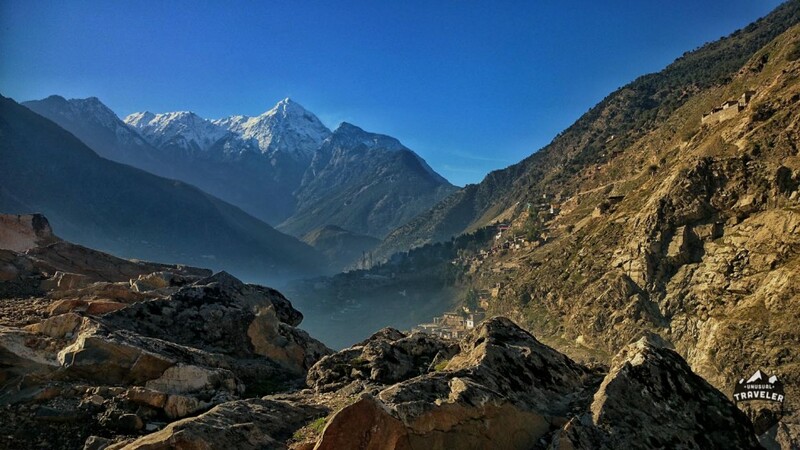 Sorry for the late reply, I been bussy hiking and volunteering in Nepal. 1. Yes you do need to cross Attabad Lake, when travelling between Karimabad and South..
2.Unfurturtuently the only way to get between Karimabad and Sost is by boat, but they are currently building a new Road above/around Attabad Lake, so it should soon be possible to skip the boat journey. 3.The immigration on the Pakistan side was nice and fast, the immigration on Chinese side is the most extensive border crossing I have ever experienced, if you would be traveling with a jeep instead of buss then you should be able to cross the border alot faster, but with taking the buss you will mostly likely not be able to do it faster. 4. Sost itself is nothing more than a border town, but the valley that I visited is a good place to stop for a few days, But Passu would be a easier stop, there was a lot of hiking opertunites in that area. 5. I was required to show proof that I had polio vacation in my Visa application, you will also not be allowed to go trough Pakistan immigration without proof of the vacation. it’s great to hear that you found Pakistan safe and enjoyed your adventure. The post is very informative and I loved the photographs too. Thank you, I had a amazing time in Pakistan, and I would go back to Pakistan without any hesitate if the visa wasn’t such a problem to obtain. Nice to read your blog about the KKH indeed one of the best place on earth. couple of questions about the area from few fellow travellers above. -The road is now connected so no more boat rides. – You can make it in one day from Tashkurgan to Karimabad but it is going to be really tiring it is just allot of hassle from Chinese side of immigration. Re. Polio vaccination it is not required but recommended. In fact, I have found out a number of facts. Like Ian said, the road is completed & opened in August 2015 & boat travelling is no longer required. Ian, thank you for clearing on the polio vaccination. You mentioned that it is tiring & long day from Tashkurgan to Karimabad, how long will the whole thing (travelling & immigration clearance) take? Rather than the public bus, is there any shared taxi that I can take? Will it be faster? Chinese side immigration takes ages to clear everyone no shared taxi between Tashkurgan and Sost. but from Sost onward you will be able to find public transport. the journey between Tashkurgan to Sost is around 5-6 hours but the wait takes for ages. so I would recommend you to spend day in Passu, Borith Lake or even Gulmit. Thanks for your reply & information. Most people recommend to stopover in Passu. Any guesthouse you can recommend there? There’s two guesthouses just across the buss station in Passu, next to the highway, I stayed in the first one. It was OK.
Small guest houses Passu inn. there use to be a local Karim Guest House not sure if that is still running. This is an awesome post! Enjoyed reading every bit of your journey. The Karakoram landscape is very beautiful and I loved the fact that people there are open minded about letting both their sons and daughters learn a western language! I wish I can make journey someday in future. waoo nice to read this. yes Pakistan is very much safe just like other European countries. these Northern areas are called Heaven on Earth. Thanks for visiting Pakistan and spreading the word. Again, fabulous photos – make me want to go there. thanks for your blog, it’s great to find some information about Pakistan and travelling the KKH and your pictures are inspiring. I’ve been dreaming about travelling this route for years, but am a bit scared as a solo woman traveller…how did you obtain the visa – the Pakistani one as well as the Chinese one? It sounds nearly impossible to get a Pakistani visa without the relevant papers from a tour operator. Is there anything you would recommend for solo woman travellers or do you really think it is no problem? I have actually booked a flight to go, but must admit that I am quite worried whether it will really be ok.
Hello Anna. Sorry for the late answer. The Pakistan visa is a real hassle, you can only obtain it in your home country, so there’s no way to get it while on the road. When it comes to paperwork so didn’t I need paper from a tour operator. It depends on the country your from, I currently have 2frienda (Dutch) that’s traveling around Pakistan and they said they got the visa within a week back at home. The Chinese visa is never a problem. I wouldn’t see any problems for a female traveler to explore Pakistan, specially not the Northern parts (the most beautiful part) there southern part of the country, is nooooot good atm for any travelers unfortunately. When are you planning to go to Pakistan? thanks for your response. My flight is in late May. I’m only planning to go to the northern parts, so hopefully it will be ok. From there to China. It seems you also get the Pakistani visa within a week here (England), but in order to get it you need an invitation from a tour operator, a bit of a challenge. Hopefully it will all work out! Hope you are enjoying your travels, wherever you are. at the moment I am roughly planning my Sabbatical. I really would love to do the KKH road trip and hope you can share some of your experiences as a solo woman traveller. Is it really safe? I am familiar with the Punjab/Chandigarh/Delhi area of India and found it rather difficult to travel there as a woman. Great Article. Thanks Christian. I am a Pakistani living abroad. I have planned to visit Gilgit in mid July 2016 with my family, wife and 2 sons. Your beautiful article has encouraged me to extend my trip to China. Can you please advice me as which places to visit in china near to Border are as I will be having only 3- days to spent there. Thanks for your comment, if you only got 3days in China, would I stay in “Tashkurgan” the first town/city you will reach in China. Tashkurgan itself is a sleepy border city, but they have a more than 2000years old stonefort, there’s also “graasland” just outside Tashkurgan were you can visit locals that still lives in their yurts. You can also do a day trip to “Karakul Lake”, an absolute beautiful Lake that’s surrounded by snow covered mountains. The Historical city of “Kasghar” is not that far from Tashkurgan, but it might be a bit tofar away when you got 3days. Such a wonderful post and beautiful pictures. I lust to backpack here but as an Indian citizen I don’t think I will ever see that day. I hope that our countries will be tin a good relationship someday and we will explore each other,s beautiful countries.. Thanks for visiting and explaining to others who are worried to come. We need more and more toursits to visit, enjoy and take the positive image across the globe. I really enjoyed my stay in Pakistan, and its a shame that Pakistan get so much publicity in western media, I honestly believe that Pakistan is one of the most beautiful countries in the world. You have really done a great job. You have shown most of the facts and realities no conventional media has ever shown to the western tourists who wish to travel through Pakistan. It’s quite unfortunate that biased and discouraging information disseminated in the west about Pakistan deters tourism and only people like you can relay real message. Usually the first question western tourists would ever ask is ” is it safe to go to Pakistan?” Belive me, you will feel like being at home when you are in Pakistan. Our country is so very beautiful, particularly the Gilgit-Baltistan Area (formerly northern areas of Pakistan) bordering China. We have the concentration of highest mountains and longest glaciers outside polar region. We enjoy four distinc seasons. There have been some hard times but now it’s almost over. Our infrastructure is improving and international tourists are warmely welcomed. I would be glade to provide information anyone would like to know. It´s a real shame how western media portray a lot of countries. So great to hear from you indeed! and thanks for your understanding of overall situation. Avid travellers will at least get a sense of reality through your website that there are places on earth worth visiting yet only media hype discourges them from making their mind. Well, you are actually right about the traffic issue. People here still need to be educated about traffic regulations. You are most welcome to Pakistan again. What part of the country you would be exploring this time? Your pictures suggest that you have travelled along the KKH somwhere in October. You might not have experienced spring in Hunza and Skardu which is quite astonishing. If you are travelling in summer, there are some beautiful soft treks like Rush Lake trek (4-5 days), Rakaposhi base camp (1-2 days), or Batura Glacier Trek (4-5 days) in Hunza and Nagar valleys along the KKH. I believe you will get a great appreciation as usual. Good luck to you again. I have travelled that road and I must says its a once in a life time experience and I invite everyone to come and if they need help for visa you can contact me I can be accompany and notified that as you are being invited to Pakistan that way the visa process becomes easier as you can have a guarantee on it. I have done the road trip on a rented car which is cheap too from Lahore to Attabad Lake from it took us 36000 which is $360 (rent, driver’s food, stay, gas) So as i say now if anyone ever interested in joining to a road trip again as I invite you with open arms and as Christian said the northern part of Pakistan is the most welcoming place. I agree as I am from the southern side of Pakistan I can say thats 100% correct. Yes that is my mission too in these coming summer holidays with kids. :) I have heard really good reviews abt it. Great peace and an interesting story. I know this might be far fetched, but do you know if the highway can be done on ones personal transport i.e. motorbike? Appreciate if you can shine a light. Yes are 100% able to travel with your own kind transportation in Pakistan, when I arrived in Lahore was there 4people in my guesthouse that just had finished the KKH on their motorbikes. In fact, a good dutch friend if mine just finished a road trip around Pakistan with his own motorbike just a few weeks ago, and he had absolutely no problem. thanks for your informative blog-post. It helped me to make up my mind to finally visit Pakistan, which I had planned for quite a while. Too bad it gets such a bad press everywhere, just like Iran. I think it is important for those of us who have seen the reality to spread the word of how things really are. Only if people like you spread the real message based on personal experience, it will help those who wish to travel but only believe in bad press. Omg this looks so amazing and I would love to do it, but even having travelled to almost 80 countries, I have to say I would still be nervous about travelling to Pakistan. I have an irrational fear of being beheaded perhaps? Maybe you can set my mind at rest! unfortunately most people seem to have a bad picture of Pakistan, and that´s really sad. I personally did find Pakistan just as safe as northern Europe. There was absolutely nothing to be afraid of in Pakistan. Of course there´s bad areas in the country but most of the country is 100% safe. I’m already planning a second visit to this amazing country. unfortunately so can you only get a Pakistan visa in your home country and country of residence, I would go as far and say that Pakistan is safer for solo female travelers than India. It was a treat reading your venture in Pakistan and i agree to most of the comments on this post. Try exploring the SWAT valley. It was previously unsafe for travelers but i experienced now, after Pakistani Army’s mission cleanup it is fairly safe to travel there. whatsapp on my mobile:- 00923334212024 and also wechat on the same no. I really wanted to visit Swat Valley during my visit to Pakistan, but I just didn’t have enough time, since I had to cross the border to China before the Khunjerab Pass was closing for the season. But next time I visit Pakistan will i definitely visit Swat. Great overview and great adventure!! I will add this to my list. I am trying to book the Medina Guesthouse in Gilgit but I can only find Madina hotel on internet and they told me the price is 2000PRP per night.. Is that the same guest house? Would you have their contacts? I will be in Gilgit next week and I am planning on staying at the Medina Guesthouse you mentioned. However I can only find ‘Madina hotel’ on the internet and they told me the price is about 2000PRP per night. Is that the same place? Would you have some contacts for the Medina guesthouse? Great post. Was there a post about the Chinese side of the journey? I’d be really interested in reading that too as I’m planning this trip for next summer. I am interested in undertaking this trip. I would like to clarify a few more details from you. It’s truly amazing I have see such a lovely and high mountains highway that could really fascinate in every aspects either it’s the lovely weather stream ,peak or trees..
Hi Christian !!! Oh my G,…. I hope a girl can travel also with that place..
do you think its safe for us girls ? Looks like it would be a dynamite ride with an adventure/touring moto. Anyone aware of rental availability? Thanks for the post. Great photos !! Where can I find your post for the Chinese side ? Can I know in your opinion, which side is more scenic ? What do you need to know of the Chinese side? I was there in 2016 & I maybe able to help you. this route is so safe and most of local tourists travel, now atms also 24 hrs open in gilgit and hunza also atm in sost. the last village of pakistan. for those who want to adventure ejoyeing very much. Hi I have a query . I would like to do a bike ride from Lahore to Khunjerab Pass, cross into China and ride onto kushkargan and do the return trip back to Lahore and cross back into India at Amritsar . We are a group of 4 rider ie 4 motorcycle. Does anyone in Pakistan organise such trips, hire motorcycles, support vehicles, guides, assist with Chinese visa, stay at tashkugan and khasgar. Please do let me know. Hello Raju. I’m so sorry for the late reply. I can highly recommend https://www.karakorambikers.com/ for the part of the trip through Pakistan, the can help with organizing, renting the motorbikes and everything inside Pakistan. China is more difficult since you will need to have a Chinese driving license to be allowed to drive in China. China doesn´t recognize international Driving licenses. thank you so much for this blog. It’s very helpful and it is nice to read that so many solo women travellers are also planning to do the KKH road trip. I hope it worked out all right for them. Did you get any feedback from any of them after they had done that trip? Was it really safe for them? I have recently started to plan my sabbatical and would love to go from Islamabad to Kashgar. Which time of the year would you recommend and what would be the perfect duration of the trip, with some hiking stops on the way, for example in Hunza valley. Heard that Hunza valley is a very nice and hospitable place. If you are still deciding to visit Pakistan or not please do read above article i have mentioned. Pakistan is big place boarder region with Afghanistan is one of the most dangerous place on earth and Northern areas( where there is all adventurism) is the one of the most peaceful place on earth.